Learn how to use Cortana on Android. Cortana by Microsoft has become the most popular voice assistant app. Nowadays, almost every people know about it. Although, Cortana has made its place among the various famous voice assistants like Siri by Apple, Google by Google Inc, and more. Day by day the technology is increasing in every sector. Henceforth, Android operating system and the Android smartphones have become the standard smartphone which everyone uses it in present time. However, the developers maintained the availability of the app or service and made it available on all platforms. Such that, Cortana voice assistant app is now available on Google play store for the Android smartphone users. Since Windows 10 has introduced the Cortana voice assistant and the synchronisation feature between the Windows 10 PC and smartphone that is why the Cortana popularity has been increased rapidly. Windows 10 operating system undirectly forces its user to install the Cortana app on their smartphones. However, using the Cortana app on the smartphone, it gets linked to your Windows 10 PC so that almost every user installs it. Thus, in this article, we will be going to use the Cortana app on Android smartphones. Through, this article we will learn that how to use Cortana on Android. So, let’s get started on the further information on this topic. The Cortana virtual assistant by Microsoft Corporation is helping the Windows 10 users a lot and the Windows phone users too. Now, it has been available for the Android smartphone users as well. However, Google has its virtual assistant that is Google assistant, but some of the people want to use Cortana voice assistant in place of Google assistant. Moreover, the Cortana voice assistant provides many additional features which Google assistant can’t offer to the Android users. Henceforth, if you are using an Android phone then now you can use the Cortana app on your Android phone very quickly. 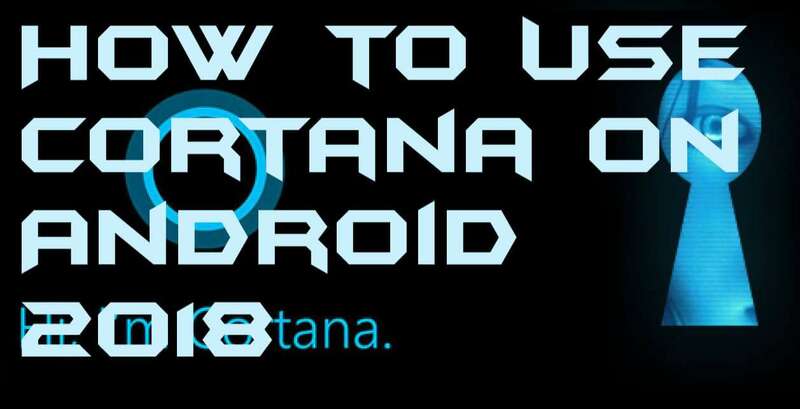 In this quick guide, I will be showing you the whole procedure that how to use Cortana on Android. However, you have to use your methodology to set up the Cortana app according to you. Well, using the Cortana app on an Android smartphone it will be beneficial for those Android users who are having Windows 10 PC as well. Thus, using the Cortana app, they can quickly access their Windows 10 PC details on their smartphone too. Also, the setup of the Cortana app in the Android smartphone is straightforward and quick. So, without having more discussion here let’s start the steps to set up and learn they way about how to use Cortana on Android. Get the Cortana app from Google Play store. Now, open the Cortana app and configure it according to your wish. Then, let the Cortana know about you by telling Cortana about yourself. Now, configure your voice in the Cortana app. Lastly, start using the Cortana app from your voice. Using this article we have learned that how to use Cortana on Android. If you are using Windows 10 PC, then this guide will be beneficial for you. Because you are using Windows 10 PC and Android phone so that your Android smartphone will give you the authority to access your Windows PC using the Cortana virtual assistant. Till now you would not be able to manage your Windows 10 PC through your Android phone, but now you can do so. I hope this article has helped you a lot. 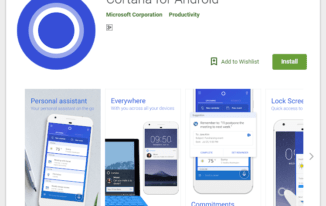 If you love this article, then share this article with your friends and tell them about the guide so that they can learn that how to use Cortana on Android.